East Bay Community Foundation, Asset Funders Network, and Northern California Grantmakers invited participation at the Inclusive Economy Learning + Action Series for funders, policy makers and practitioners concerned about the future of low and middle wage workers in the region, many of whom are people of color, immigrants, and those impacted by the justice system. They met on Tuesday, October 11, 2018 from 10:30AM to 12:30PM (PDT). In spite of the economic boom, income inequality is on the rise, with African Americans and Latinos over-represented among the lowest earning households. The poverty rate for African Americans is more than double the overall poverty rate in the region, and these rates are exacerbated when you adjust for high housing costs in the region. Rents continue to rise, while wages have stagnated. Middle wage job opportunities continue to shrink, deepening inequality. 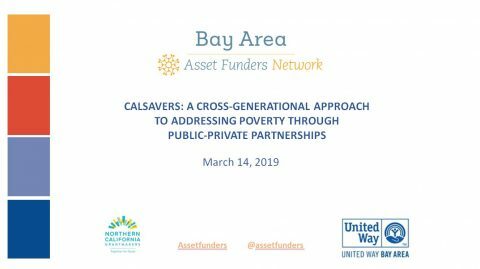 This community of funders and practitioners are working to create an Inclusive Bay Area Economy that provides equitable opportunities for good jobs, entrepreneurship, career pathways, and asset building, especially for those who are traditionally left behind. We envision a just Bay Area with vibrant, resilient communities, strong local economies, and thriving industries that contribute to the health, well-being, and prosperity of all residents and a sustainable environment. 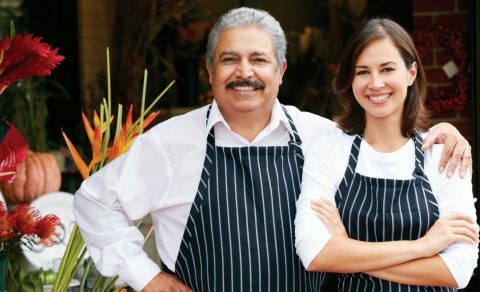 We can achieve an inclusive economy when those who are furthest from economic opportunity fully participate in and benefit from economic decisions that shape their neighborhoods and the region. The Learning + Action Series is organized around the key strategies that are essential in creating a truly inclusive Bay Area economy that creates conditions for asset-building among low income communities of color: Policy & Systems Change; Business and Capital Innovations; and Community Leadership, Power + Ownership. Each session will feature local thought leaders and practitioners and provide space for funders and donors to strategize solutions and take collective action. At this session, we heard from innovators who are creatively shifting capital towards community wealth-building and discussed the important roles philanthropy plays. We covered specific financing challenges “good businesses” face, bottlenecks in accessing and using existing financial products, and how funders can fill gaps, from contributing to capital pools that provide financing with terms that better meet the needs and capacities of model inclusive economy businesses, resourcing capacity building to businesses so they can be more “capital-ready” to access existing products on the market, directly funding organizations who are running social enterprises, and other interventions. Hosted at the Silicon Valley Community Foundation, this event was open to a limited number of attendees. The in-house event ran from 10:30 AM-12:30 PM. A funders and donors only luncheon followed from 1:00-2:00 PM.